ONE. 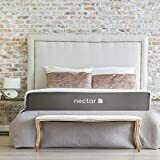 Joey and I were in desperate need of a new mattress so he did some research (lots of research) and we decided to go with a NECTAR King Mattress Gel Memory Foam. It's not a bed in the box but it does come rolled up and compressed and then you open it up and let it rise. We're on night 4 and so far I LOVE it!!! I will report back though and let you know how we continue to feel about it. TWO. We also ordered these bamboo sheets from Amazon. My sister in law recommended them. They are SO SOFT and SUCH A GREAT PRICE for Bamboo sheets. I also get hot really easy throughout the night (postpartum perks) and these sheets are very cooling. I haven't gotten hot yet. I love them and pretty sure we're going to order more. THREE. This week I kept Ava home from daycare to have some time with Zoey and I before school starts. We had a great week! On Wednesday we met some of my Mommy friends at the Zoo. I decided that day that we really need a double stroller. One that will fit the infant car seat and Ava. At first we didn't think we would need one because Ava likes walking, but she walks sooooooo slow and by the end of the day I was carrying her out of the zoo while pushing Zoey in the stroller because she was just so tired. Anyhow, I reached out on my Insta Stories asking for recommendations and I received a ton of recommendations for this Joovy Caboose Ultralight Stroller. The lightest weight (23 lbs. ), most compact, and maneuverable full-size double stroller available, max child weight 90 lbs. FOUR. Ava started dance this week. She had her first dance class and did SO good. She didn't cry one time. It was the cutest thing ever and she so proud of her dancing, that she dances all through the grocery store...haha. FIVE. 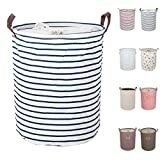 I recently purchased this striped laundry basket for Zoey's nursery. I LOVE it. I actually bought two and I'm using the other one to old toys in our living room. 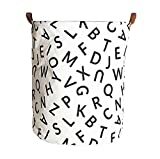 They have so many cute patterns and most are less than $13.00. I really want this one too. I thought they might be too short but the height is perfect. They can hold plenty of children clothing and toys. SIX. I can't believe it's already time for back to school! I will be returning to work as a 6th grade teacher in October. For now, I'm going to enjoy my time with my sweet baby girls. I did want to share this FREE TEACHER SURVEY printable for you to print out and put in your child's backpack next week. It's great to have for holidays and special days when deciding what to get their teacher. You can find it here. SEVEN. I also shared some Must Have Lunch Boxes and Accessories last week. You can check those out here as well as some of our tried and true lunch box accessories. Happy Friday Friends! Friday Favorites Starts with My New Job!